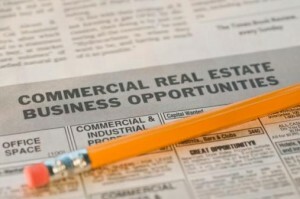 Commercial Real Estate Investment Loans are available with up to 80% Commercial Financing. Dividend America Commercial Lending uses it’s expansive lending platform and broad industry knowledge to provide 80% commercial financing for the purchase of commercial real estate investment property also known as CREI. In recent years capital for the purchase of commercial real estate investment properties has be restricted and large down payments were required for those that qualified. However, Dividend America now has access to a fund containing $400mm specifically targeted for lending up to 100% commercial financing for the purchase of cash flowing Commercial Real Estate Investment loans. 1. Borrower must have industry experience in the specific classification/category of the property they are purchasing. 2. The property must cash flow at a 1.10 DSCR after applying our points and interest rate. Commercial Real Estate Investment loans with up to 75-80% commercial financing loan-to-value are available and are helping experienced Commercial Real Estate Investors get back in the game. To learn more about (CREI) Commercial Real Estate Investment loans and to see if you qualify contact us via our online easy app or call our president, Michael Gross, direct at 404-819-4511. Providing lending solutions not just loans to professionals and businesses in all 50 states! We have lending representatives in Atlanta, GA, Chicago, IL, Phoenix, AZ, San Diego, CA, Charlotte, NC and coming soon to Tampa, FL, Jacksonville, FL, Chattanooga, TN, Silicon Vally, CA and Dallas, TX. Lending in all 50 states and focusing on commercial real estate investment property loans in the markets and submarkets listed in the S&P Case Shiller Home Price Index and the surrounding secondary markets to those cities. We look for opportunities in: Boston, Chicago, Denver, Las Vegas, Los Angeles, Miami, Fort Lauderdale, Orlando, San Diego, New York, San Francisco, Phoenix, Atlanta, Tampa Bay, Detroit, Minneapolis-Saint Paul, Charlotte, Dallas / Fort Worth, Portland, Seattle, Cleveland, Oklahoma City, Jacksonville, Indianapolis, Nashville, Kansas City, Louisville, Milwaukee, New Orleans, Philadelphia, Raleigh, Sacramento, Salt Lake City, San Antonio, San Jose, Saint Louis, Tucson, Austin, Baltimore. Check us out on Facebook or connect with us on Linked In.